Svagito Liebermeister is a psychotherapist and spiritual teacher who has been a disciple of the enlightened mystic, Osho, since 1980. In his courses and training groups he combines Western therapy methods with Eastern methods of meditation, and is known for his clarity and heartfulness in teaching and supporting people in their personal growth. 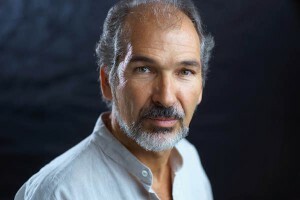 He holds a degree in psychology from Munich University and has been working with people therapeutically since 1981, while continously studying a wide range of therapeutic methods including Deep Tissue Bodywork, Neo-Reichian Breathwork, Psychic Massage and Male-Female Energywork, Counseling and Trauma Therapy (SE). In 1995 he began to include Family Constellation in his work, studying with its founder, Bert Hellinger, and since 2000 he leads his own training programmes in this fascinating approach to therapy. His other training programmes specialize in Neo-Reichian Breathwork, Counseling and Male-Female Energywork and Trauma Healing (SE). He has trained hundreds of practitioners worldwide in the art of working with people from a space of meditation and lovingness. For many years he coordinated the two-month Osho Therapist Training Programme at the Osho International Meditation Resort in Pune, India, one of the largest personal- growth centers in the world. Every year, he travels extensively throughout Europe, Asia, Central and South America, offering courses and training programmes in over 15 different countries.